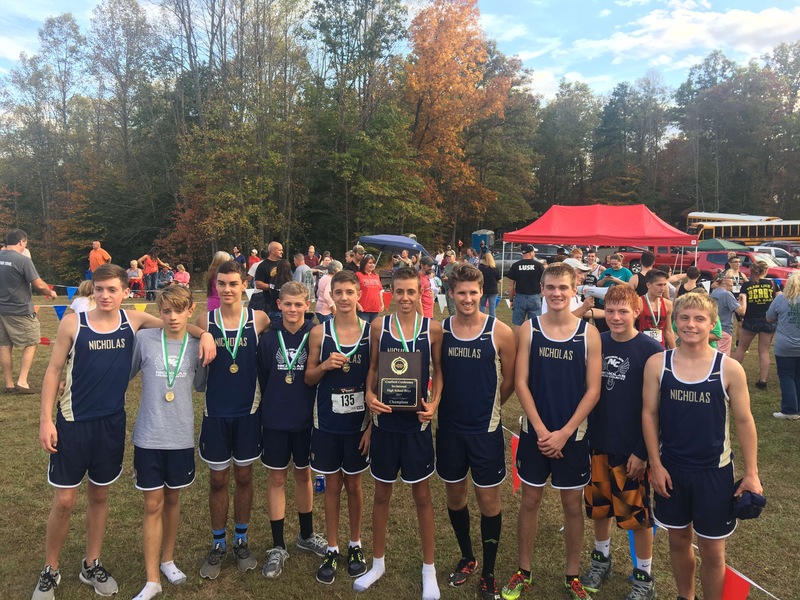 The NCHS Cross Country team finished 7th at the State Cross Country Meet at Cabell Midland High School on October 28th. The order NCHS finished in is Issac Prather (16th), Levi Brake (59th), Logan Kelbaugh (61st), Rylee Nicholas (67th), Alex Fennell (89th), Quinn Jeckering (107th), and Preston Prather (did not finish). Preston Prather was running a great race, but right after he passed the two-mile marker, he pulled his left hamstring. Preston courageously endured the pain for ¾ of a mile. He was 250 meters from the finish line when the pain became unbearable. Everyone is happy that Preston is okay and that he chose to stop before he did additional damage to his hamstring.